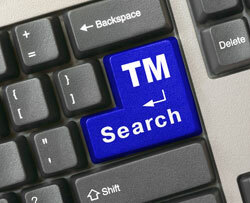 Conducting a trademark search must always be the first step for any business owner. Trademark rights are so well protected that it is imperative to do a search. Whether you need to register a company name or trading name, or launch a product or service, or start a web site - you need to confirm that you will not infringe upon an existing trademark. If infringement occurs, you may be forced to stop trading under that name and, at the very least, will need to replace corporate stationery, brochures or advertising material. You may have to withdraw products from the marketplace and may also be sued for damages. It pays to have the trademark search done properly. As a preliminary step, you could do your own basic trademark search to eliminate the obvious. This is generally cost free and may be possible on-line. However, once you've done your investigation, it is advisable to consult with a trademark law firm. Not only can they do a professional search and advise you, but they can also confirm that your mark complies with other legal requirements for registrability. 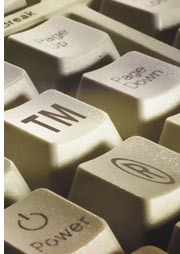 They can also assist you with the application for and registration of, your trademark. By simply typing your intended name into the various search engines, you may very quickly find that a similar company already exists. 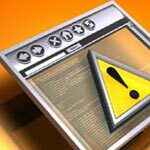 Be sure to use a couple of search engines such as Google, Yahoo, Bing, Chrome etc. since they do not all offer the same results. The fact that a name may be in use for one type of goods does not mean that you cannot use it for an unrelated product. For example, if BROWN COW COMPUTERS exist, it does not preclude you from using the name BROWN COW COUCHES. You may not be able to register the domain name browncow.com though, if that has already been taken. Do searches for variations of the word, e.g. BROWN CO, BROWN COW, BROWNE COW, BRAUN COW as well as plurals. By putting your search terms in "quotes" you can narrow the results. Do searches on online shopping sites to find products by similar names already in existence. The official website of many a country's Patent and Trademarks Office have only search functions for registered and pending marks. Some trademark offices may also offer a search service for a fee such as the United Kingdom Office. The fact that they've conducted a search and provided you with results however, does not guarantee their approval of your application, should you wish to register. A good source to expand your search, although not a free service, can be found at the Thomson & Thomson web site, through the SAEGIS ™ research services. Most countries have professionally based search services, whether trademark law firms or independents. The reports provided by paid services are extensive - covering registered, pending or abandoned marks as well as marks that have rights under common law. The most challenging search will be for unregistered trademarks. There is no ready database or list available for these marks. A free search can be done at the Thomas Register of Goods and Services, where you will find names which may have trademark rights through use. 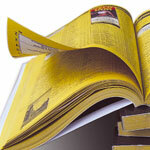 NOTE: Links to all these search sites mentioned are available on our Intellectual Property page. 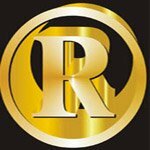 You should use a combination of these trademark search resources - the free ones and also perhaps one of the paid services to ensure as far as possible that your chosen name will not be in conflict with another mark.